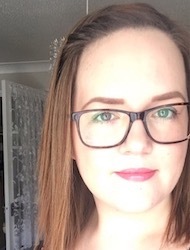 Hello, I’m Gemma, the Group Leader for the Dorset Endometriosis UK Support Group. I was diagnosed with endometriosis in May 2016. Since then I’ve had two laparoscopies to excise the affected areas, and my symptoms are now manageable. In March 2018 I attended an Endometriosis UK morning at Poole Hospital, which I found incredibly inspiring. Just being around other women who ‘got the endo thing’ was so powerful, and I decided I wanted to give back and become a Support Group Leader for Endometriosis UK. Endometriosis can be incredibly isolating, and my goal for the Dorset Support Group is that it offers others who suffer the opportunity to discuss their condition, and maybe pick up a few hints and tips to make things that little bit more manageable. My aim for the Dorset Support Group is to offer a safe and supportive environment for you to share your experience of endometriosis and for you to understand that you're not alone. It is open to anyone at any stage of their endometriosis journey - you may have just been diagnosed or suffered from this illness for years; either way, you're more than welcome to join us for a cuppa and a chat. I'm aiming to offer a mixture of informal meetings and guest speaker slots. This will give us the opportunity to hear from some experts on topics that are of interest to the group. If you're keen for someone close to you to attend a support group session please contact me beforehand and I'll see if we can accommodate. Another Dorset Support Group aim is to raise awareness of endometriosis locally and help raise some much-needed funds for Endometriosis UK. If this is something you'd like to get involved in, please do let me know. The meetings will be held on the third Thursday of each month at The Grasshopper in Poole, between 7pm and 8.30pm. The address is: 139-141 Bournemouth Road, Parkstone, Poole, BH14 9HT. The group session will take place in the function room upstairs. There is free parking available. Please note, group sessions, unless otherwise stated, are for endometriosis patients. In time we will open sessions up to family and friends, but these opportunities will be advertised once confirmed. Please note: if you haven't heard back from the support group since sending your inquiry and are interested in an upcoming meeting, do feel free to come along!